River Red Gums (Eucalyptus camaldulensis) lining the dry creek in the Brachina Gorge in the Flinders Ranges National Park, South Australia. This image belongs to the travel and nature stock photo library. 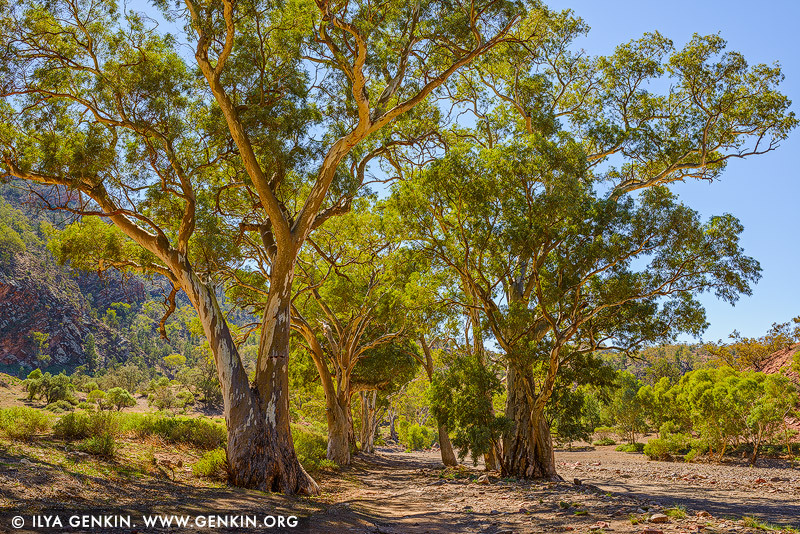 This stock photo of Avenue of River Red Gum in Brachina Gorge is available for licensing for commercial and editorial uses including websites, blogs, books, magazines, brochures and advertising. Restrictions may apply for images which contain third party copyrighted material or sensitive subjects. Photos of artwork are for editorial use only. 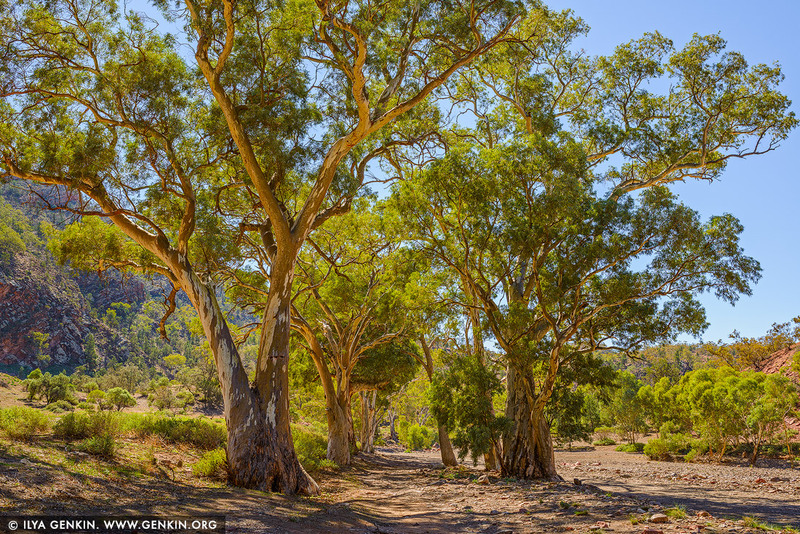 This image id AU-SA-FLINDERS-0019 of Avenue of River Red Gum in Brachina Gorge, is copyrighted © by Ilya Genkin. This is not a public domain image.